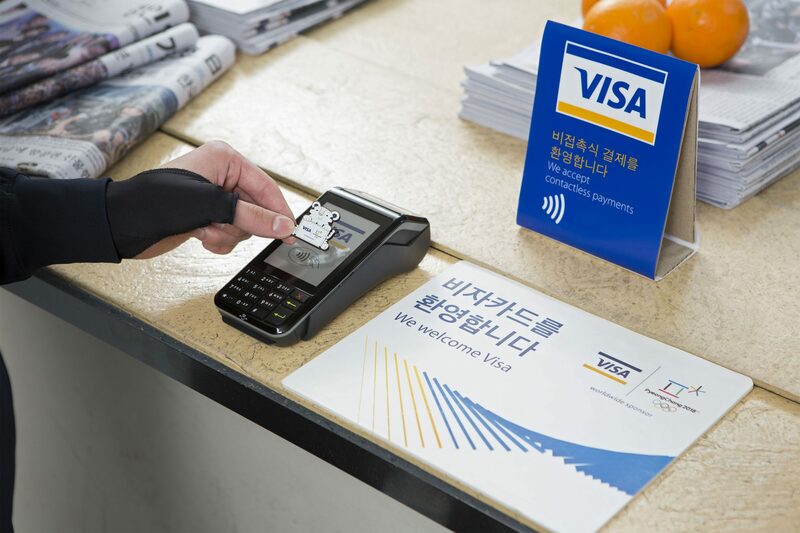 Visa payment-enabled gloves for the 2018 Winter Olympics in Pyeongchang, South Korea. With digital payment methods taking the world by storm, Visa is taking it in a new direction. The company is launching a line of three wearable devices that support contactless payments for fans and athletes attending the 2018 Winter Olympics in PyeongChang, South Korea in February. The line, which was produced in partnership with the financial arm of South Korean-based retail giant Lotte Department Store, includes payment-enabled gloves, as well as commemorative stickers and Olympic pins. 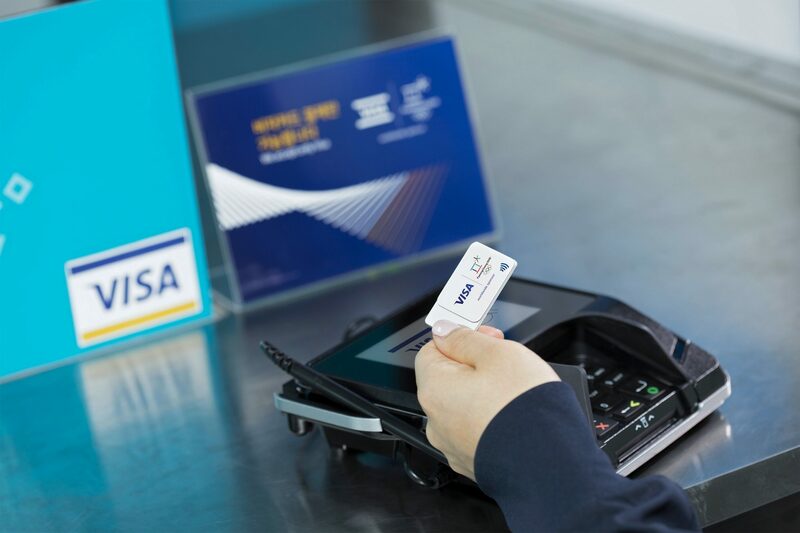 With the average temperature in PyeongChang in February averaging around -4 or -5°C, the Visa gloves will allow fans to pay without getting cold hands. The gloves will have a dual interface chip with a contactless antenna built in, and come with prepaid amounts on them (KRW30,000 or KRW50,000, which is equivalent to approximately $35 or $60 CAD). Commemorative pins at Olympic games is a long-standing tradition, so Visa has introduced four unique designs that can be used to pay and then saved as a collectible. They will cost KRW5,000 (approximately $6 CAD), plus any amount fans want to load onto them. The Visa stickers will also have dual interface chips and antennas embedded in them, and can be stuck to almost anything. There will be eight distinct designs, and available in denominations of KRW30,000 ($35), KRW50,000 ($60), KRW100,000 ($117), and KRW200,000 ($235). “The wearables are powered by pre-paid products, there is no personal information attached to the wearable – no account number or token are used in the transaction process. If a wearable is stolen or lost, users should contact the Lotte Card call centre,” it adds. This is not the first time Visa has introduced wearables for the Olympics. At the 2016 Summer Games in Rio de Janeiro, Brazil, the company was selling payment-enabled rings that worked in a similar way to these new wearables for PyeongChang. Available now, the gloves, pins, and stickers are available for purchase at Lotte Card’s customer centres in South Korea and online. During the games, they will also be available at Olympic Superstores in Visa vending machines.